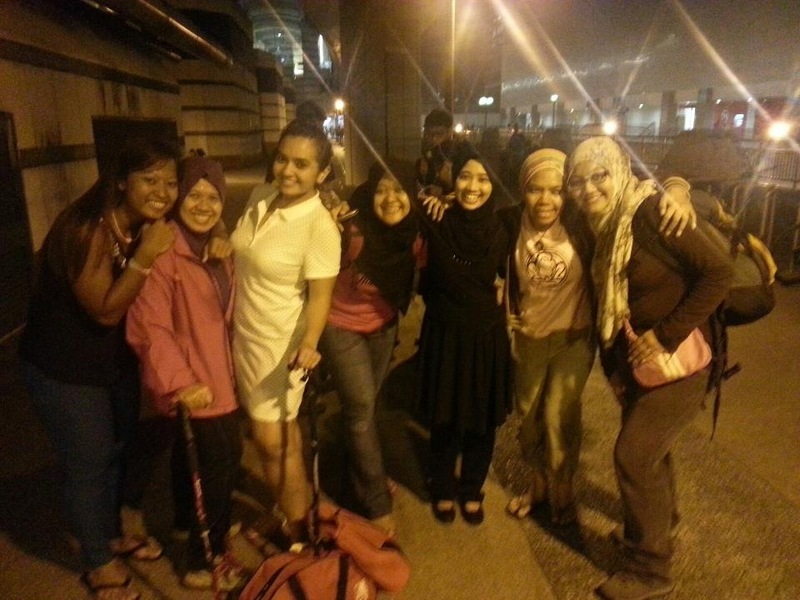 On Friday 19th April, we met at Woodlands Square and boarded the bus at 9.30pm. Hirda could not join us but she sent us off and bought some food for our breakfast. Thanks Hirda! We then changed to a Malaysian registered bus at Tuas Checkpoint and proceeded to Negeri Sembilan. Traffic was smooth throughout the journey as we were woken up before we could even sleep soundly, let alone dream. 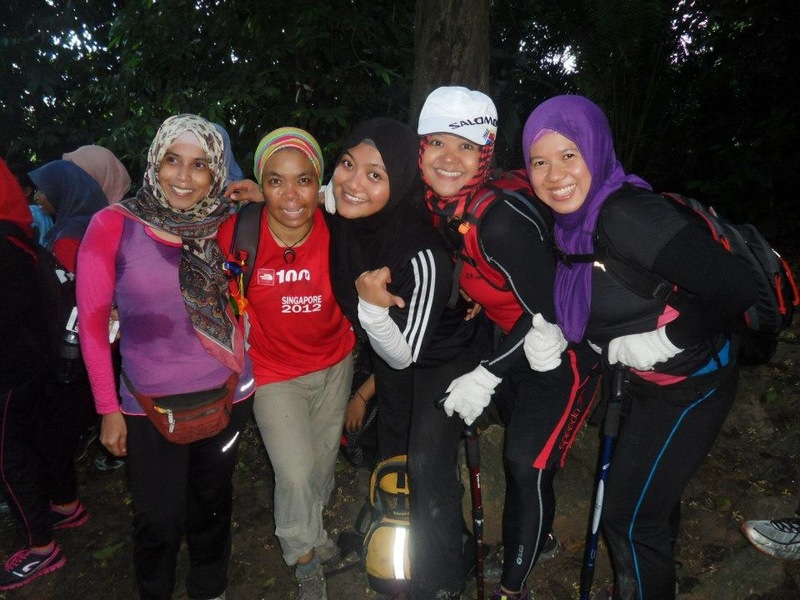 We reached Gunung Datuk Base Camp at 3am, registered our attendance and settled ourselves at a BIG hall. Tried to get some sleep to rest our body from the bus-battered sleeping position. 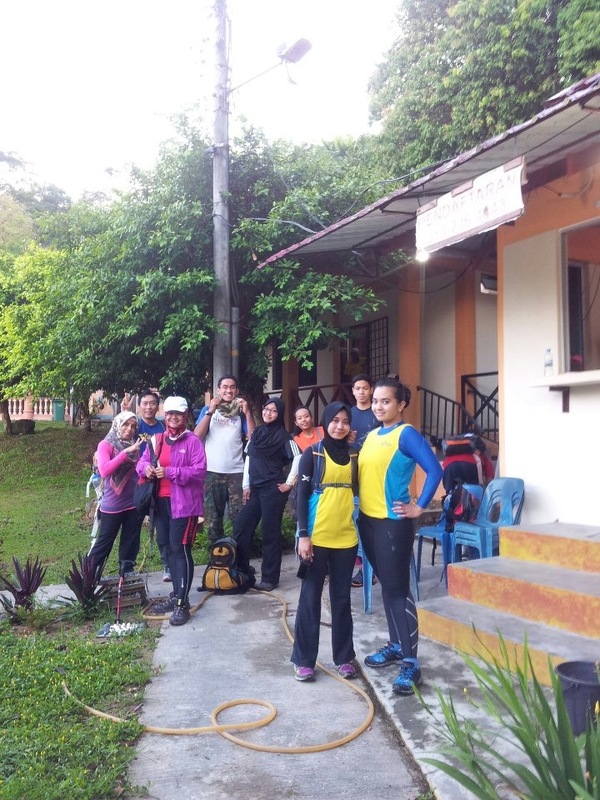 We woke up before dawn, had a cold and refreshing bath, perform our Subuh (morning) prayers and had a light breakfast before meeting the guide, a lanky and friendly guy by the name of Zul. 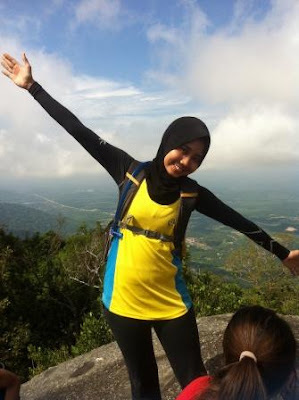 Gunung Datuk is 884m above sea level. The distance to the summit is approximately 4.6km one way. What lies ahead was nothing near the MacRitchie trails that we frequented or the Bukit Timah Hill that we braved during the wet weather. 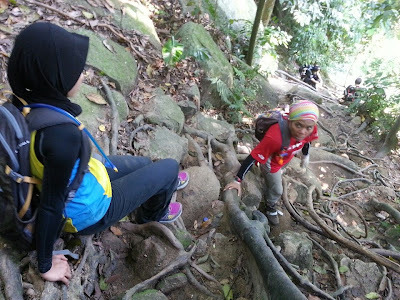 It was a steep and treacherous climb, filled with intertwined roots and scattered rocks, through muddy patches and overhanging branches, some of which were thorny and spiky. Perhaps, it helped that we have been around superfast Freaks (read: you guys!). We made it to the halfway mark in a good time. We had a short rest at a small clearing where there was a wrecked gazebo with only the rooftop remaining. There, Zul informed us that the summit can only take in twenty people at a time; hence there was a need to stagger the second half of the climb. We let other fellow climbers (a big group of university students) proceed with the climb first while we indulged in our common hobby – camwhoring ! The terrain by then was less rocky and consisted of gentler slopes and wider paths. We did not stop for breaks until we reached the camping site just before the summit. Many climbers were waiting for their turn to ascent the summit. There were three sets of steel ladders secured by ropes that looked kind of unsafe. The first set was fairly easy but the second had a 90 degree incline and felt relatively shaky. There were climbers who chose not to venture beyond this point. The last set was the scariest of all! We dread the thought of falling over the side had we missed a step! 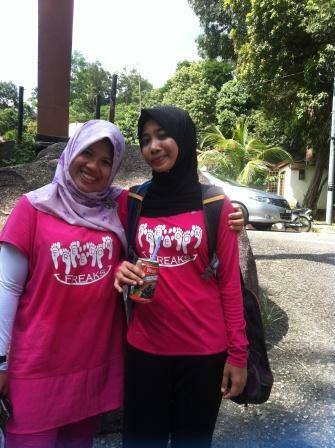 It undoubtedly required us to focus and exercise due care. 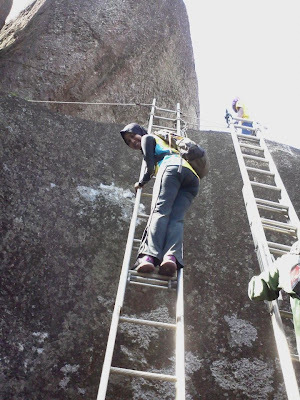 We were fortunate to have an experienced and patient guide who was able to assist us in conquering our fears by showing us the best ways to move about the steel ladders to and from the massive boulders that dominate the summit. 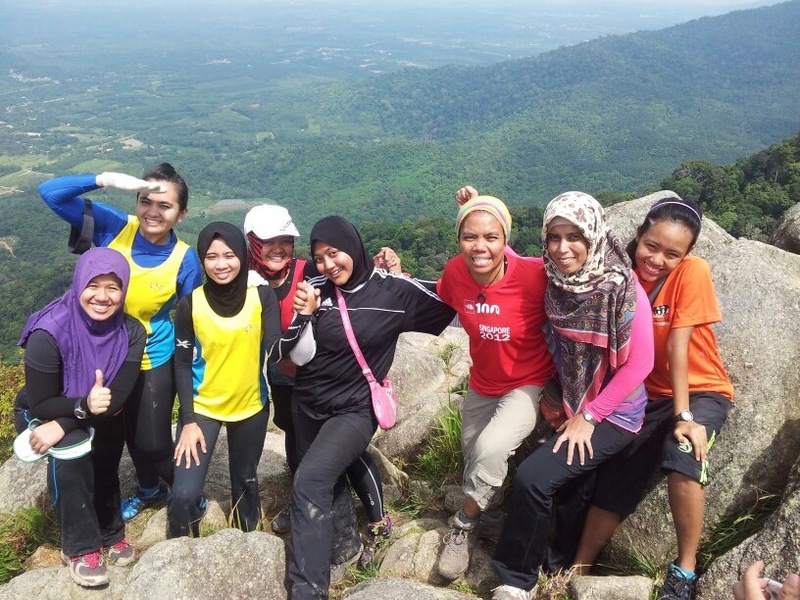 What awaited us at the summit was worth the pain and hardship we had endured throughout the climb. We were rewarded with a superb view of the clear blue sky, the extensive greenery of the surrounding plantations and the nearby mountains. Subhanallah (Glory be to Allah). Indeed, HE is the greatest Creator. Unfortunately, we could not stay long at the summit as there were others waiting for their turn to taste the fruits of their (hard) labour. Going downhill was easier on the heart but hard work for the knees and leg muscles. 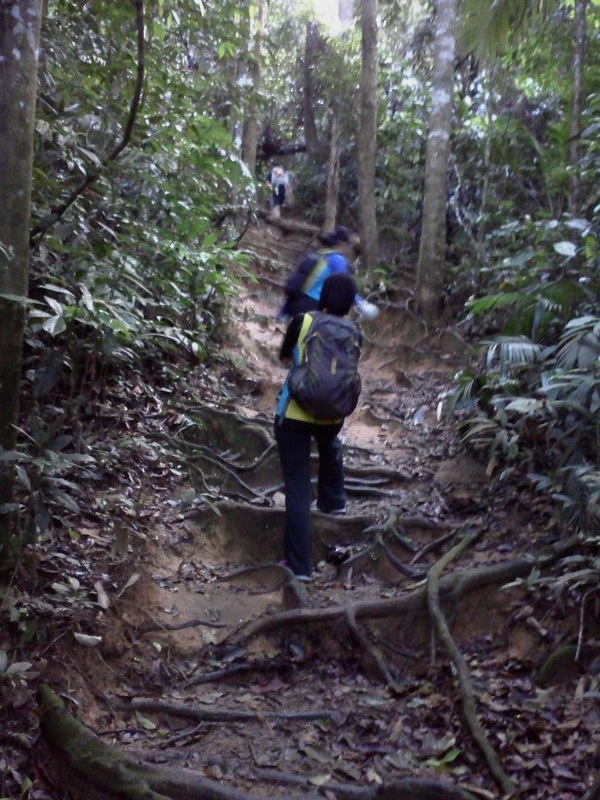 The steep incline made it difficult to come down fast without risking a slide and possibly hitting the rocky paths or tripping over the twisted roots. 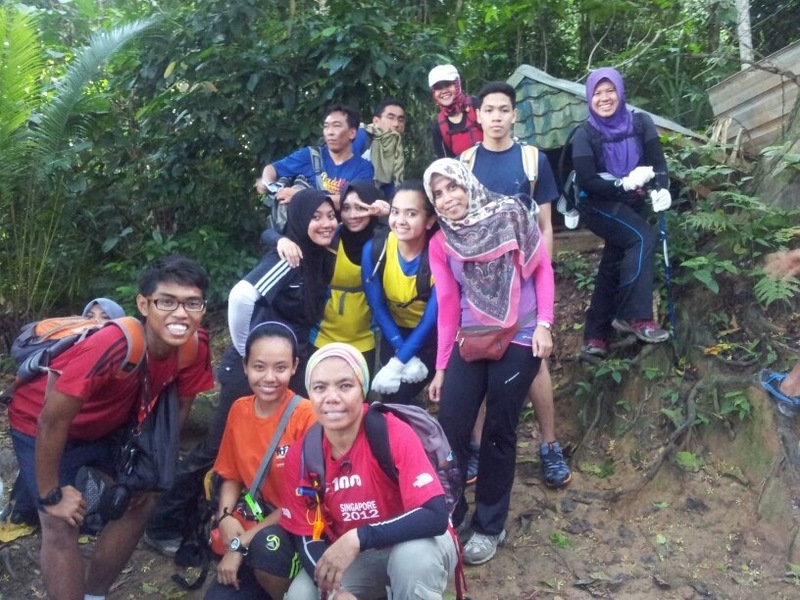 Nevertheless, we did not stop for a rest but kept going. 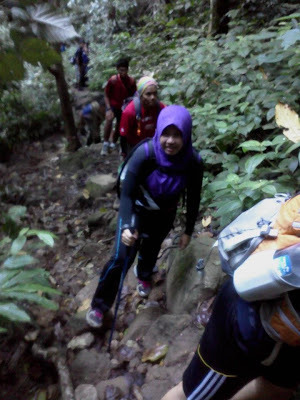 Our focus then was to reach the base camp as quickly as it was safely possible so we could eat! We were sweating profusely, almost as much as the climb upwards earlier on, our energy almost totally depleted and relying mostly on our mental strengths. We could feel the muscles on every part of our bodies working overtime. At one point, one of us lost focus, slipped down and hit a sharp stone, and suffered a cut. 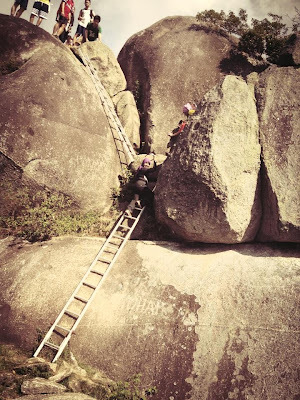 It was fortunate that one of the climbers had a plaster with him. From then onwards, we moved at a slower pace and let some others overtake. We rushed to bathe so we could eat as soon as possible. The bus would be fetching us home soon! 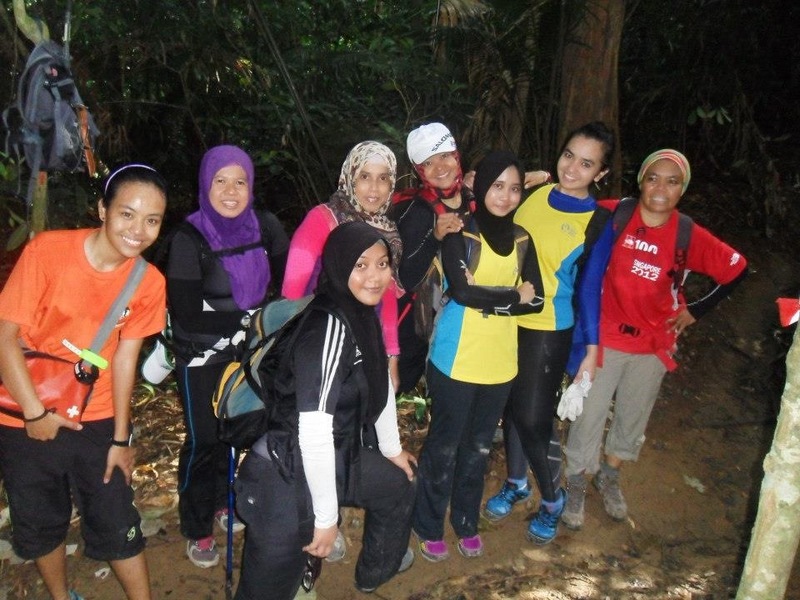 We have conquered our fears and scaled Gunung Datuk. This is our maiden climb. And for me personally, never had it crossed my mind that I would be doing this at a grand old age of forty-four! As famously and often declared by our comrades across the causeway – Malaysia Boleh! So Can WE!! Hi there! 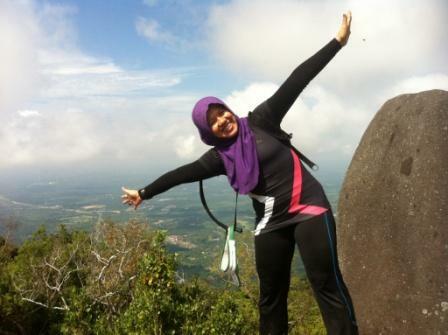 stumble across your website... may I know how u plan your trip to Gunung Datuk? how u cater a bus from Spore? 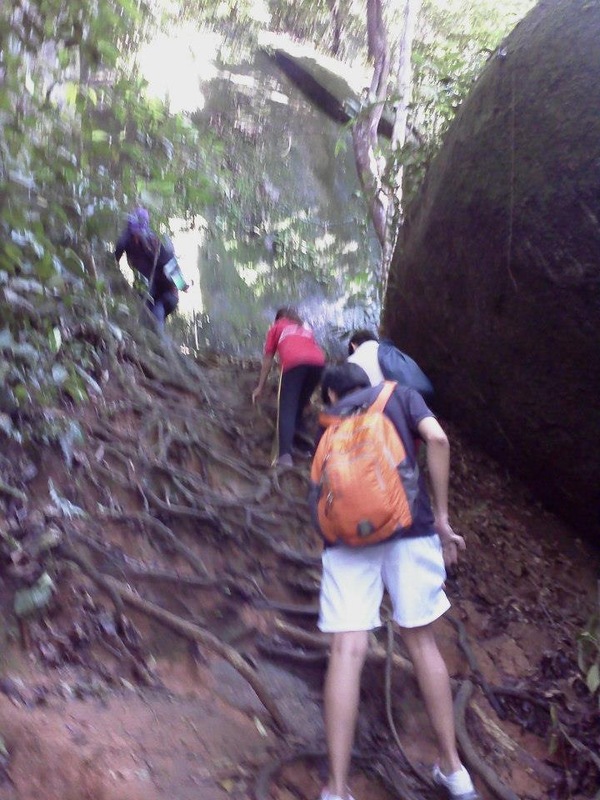 and do u need a guide to climb up? is it easy to navigate without a guide? Thanks!! !